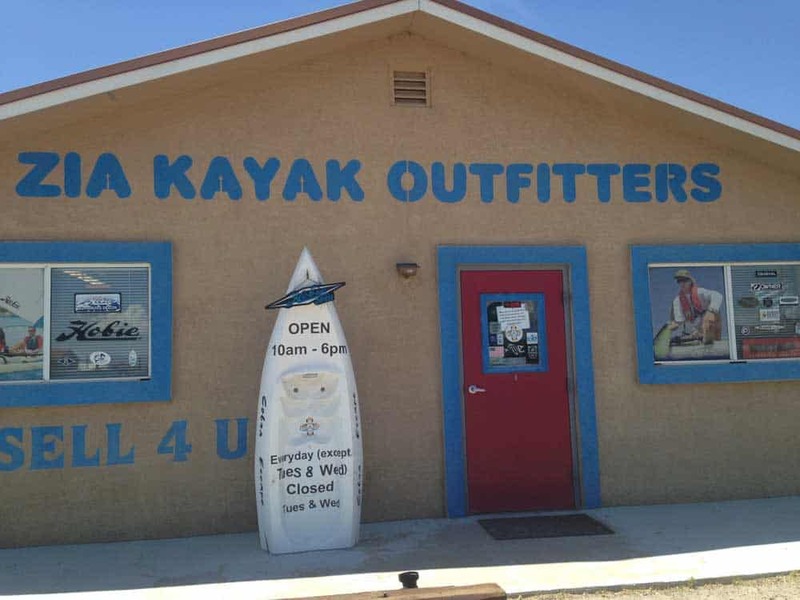 Zia Kayak Outfitters has HobieK Kayaks and Malibu kayaks in stock, including single, double and sit-on-top models. Hard hull and inflatable stand-up paddle boards are also available. Any and all accessories needed out on the water are also available: water shoes, personal floatation devices, dry suits, hats, sunglasses, and fishing gear. Free training is offered on paddling and getting in and out of a kayak. Rentals of single or double kayaks and stand-up paddleboards are available as well.